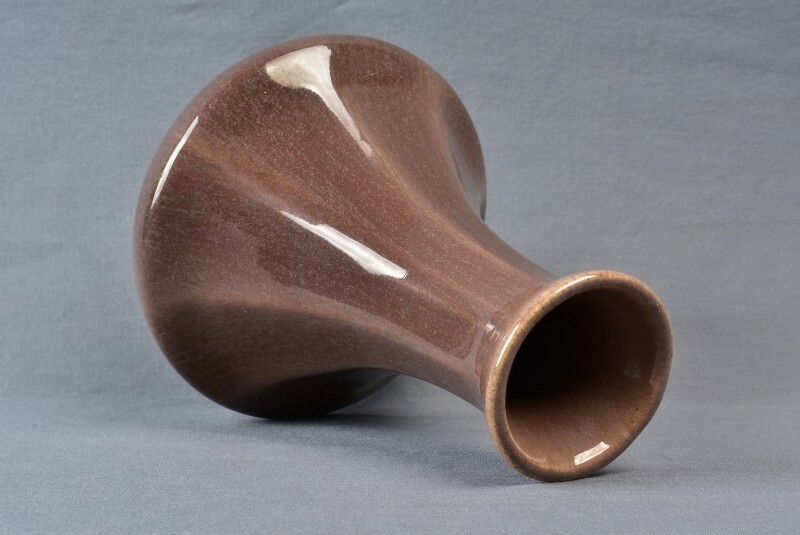 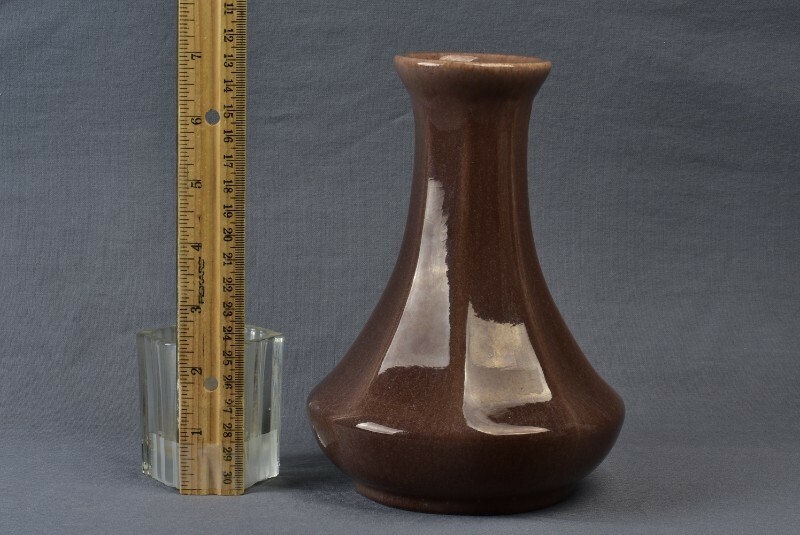 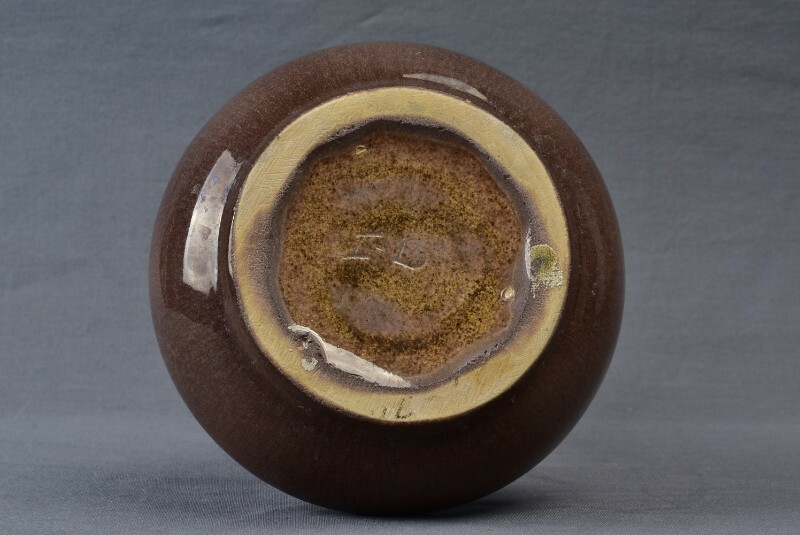 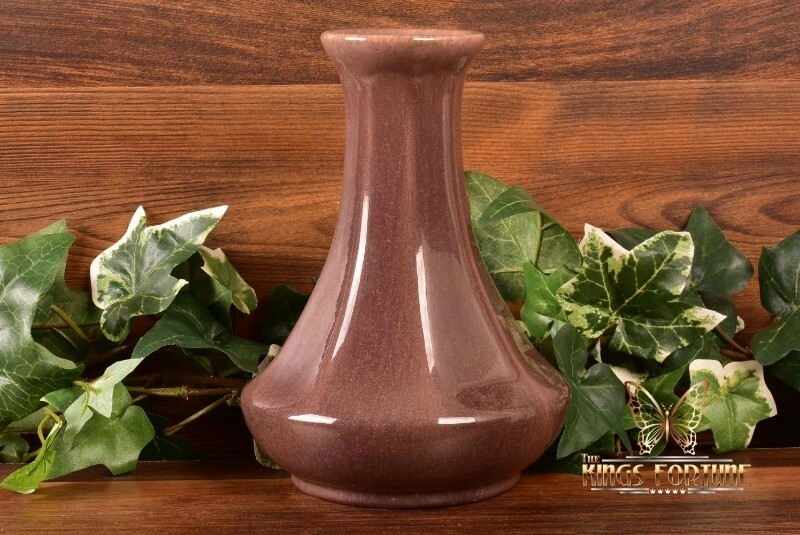 This 7 inch tall Muncie vase is beautifully glazed in a dark, rich brown. 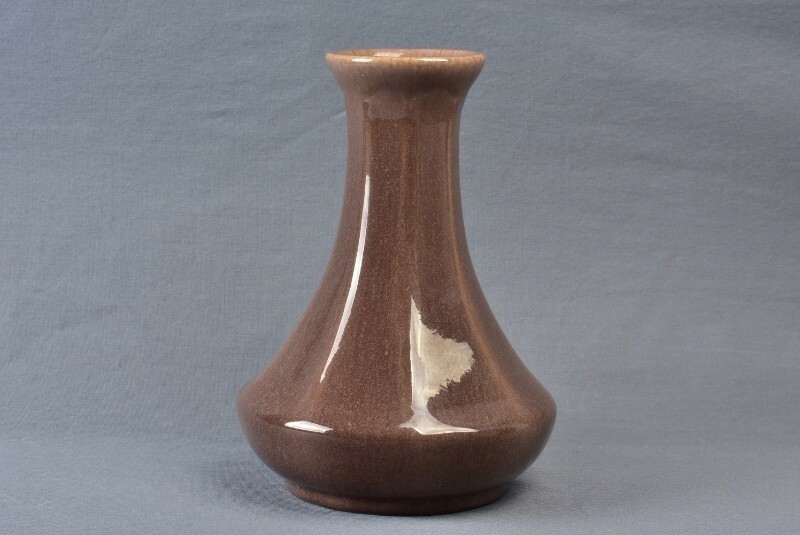 This piece is a wonderful example of an arts & crafts style. 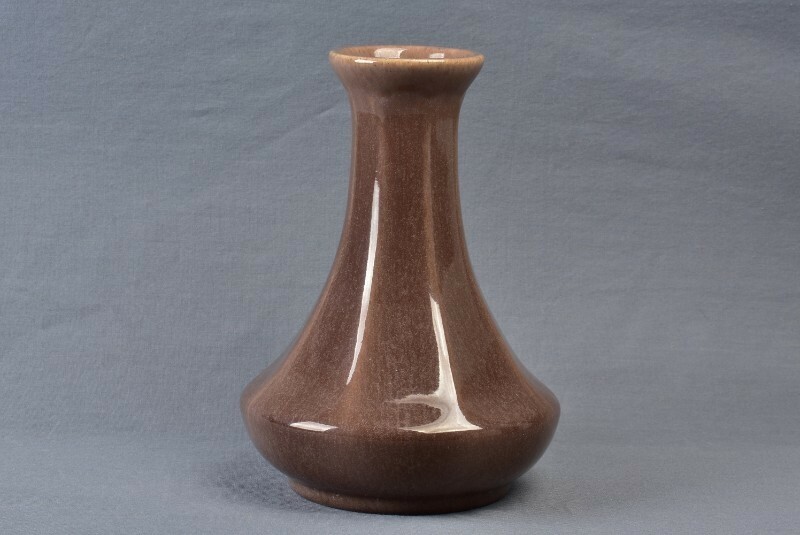 The design of this vase is perfect as the bottom is nice and wide and difficult to tip over. 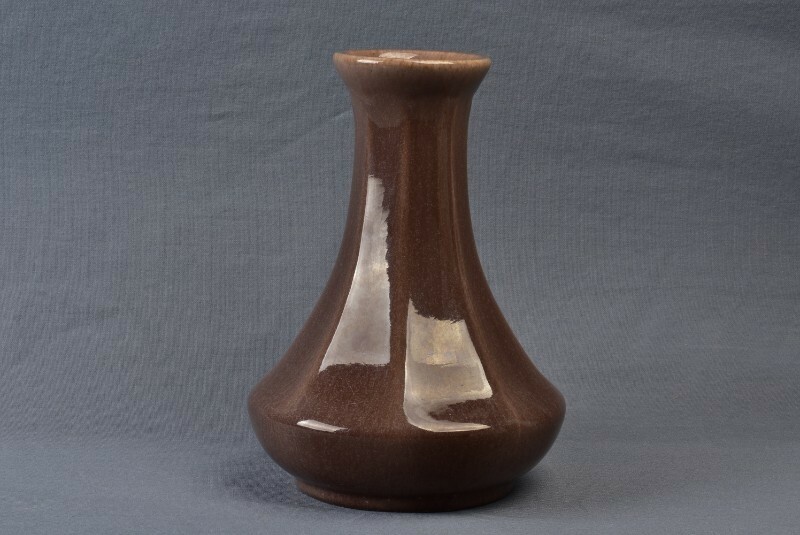 Height: 7", Base: 3 1/2" , Rim: 2 1/2"